The Courtyard by Marriott Key West allows you to experience the open waters and endless horizon from your room at this lovely hotel. Located on the northern part of Key West, which is the last of the major islands that make up the Florida Keys archipelago, this lovely hotel offers access to the warm waters of the Gulf of Mexico and a tropical-style getaway without having to leave the country. Key West also has one of the best party atmospheres, from the annual Fantasy Fest in October to the daily sunset celebrations at Mallory Square. One of the smaller Key West hotels, the Courtyard Key West Waterfront is perfect for those seeking a quality vacation and superior service without too much of a crowd. The hotel offers rooms and suites, king-size or queen-size beds, high-speed internet connections and Wi-Fi access, free onsite parking, and one parking space for boats, among other amenities. Guests have a choice of rooms with balconies or patios for enjoying the warm Florida sun and cool breezes from the Gulf. For your convenience, the hotel provides a shuttle to transport you and your family or friends to downtown Key West from morning until late evening at no charge. 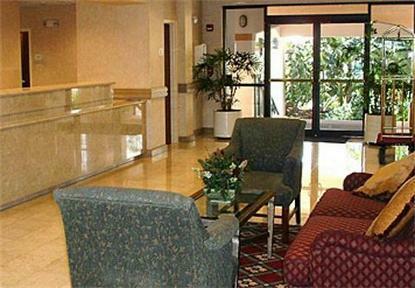 For travelers arriving by air, the Courtyard by Marriott Key West is convenient to the Key West International Airport, and there are airport shuttles available as well. For relaxing after a day of sightseeing, fishing, or boating, you can float in the cool blue waters of the outdoor swimming pool or relax your muscles in the whirlpool. To unwind tense muscles, the Courtyard Key West Waterfront has an onsite fitness center open 24 hours a day and equipped with treadmills, stationary bikes, elliptical machines, and weight machines. In addition to the many restaurants in Key West, the Courtyard Key West Waterfront has two on-site dining options. The Bistro serves breakfast featuring American cuisine until 11am and the Tiki Bar serves lunch at the bar or poolside until 2 pm. Local restaurants convenient to the hotel serving dinner in a casual environment include El Meson de Pepe, which features Cuban cuisine; Outback Steakhouse; TGI Friday’s; and La Trattoria, which is known for its exception Italian fare. For a day out-and-about in Key West, visit the Fort Zachary Taylor State Park for swimming and a picnic or tee up at the 18-hole Key West Golf Club and driving range. Both locations are less than three miles from the hotel. Be sure to find time to visit the Ernest Hemingway Home and Museum in Old Town Key West, where you can tour the gardens and see the many famous Hemingway polydactyl cats that continue to reside at the home. A short distance from the Hemingway House is the Harry S. Truman Little White House and Museum, which served as command headquarters during the Spanish-American War. Like any of the best Key West hotels, the Marriott has plenty of nearby activities for water enthusiasts to choose from including snorkeling, sailing, scuba diving, and jet skiing. The blue-green waters of the Gulf, especially around the reefs near the Dry Tortugas, is a popular area for diving, as the clear waters provide spectacular underwater views of scenery and colorful fish. When planning your vacation, check with the Courtyard by Marriott Key West for special offers and discounts for government and military personnel, senior discounts, AAA membership discounts, and air and car vacation packages—the Marriott is one of the best brands for travel deals, and this Key West hotel doesn’t disappoint.